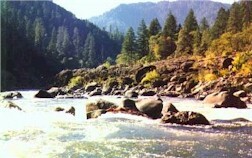 Southern Oregon is known for outdoor recreation and warm, dry weather. Ashland is the home of the world renowned Shakespeare Festival for several months each year. Fruit grows abundantly around the Medford area.